Hey COFFEEHOLICS! 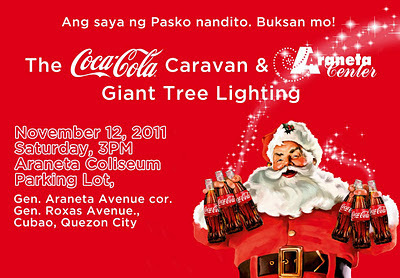 YOU and your loved ones are invited to the ARANETA CENTER GIANT TREE LIGHTING EVENT on SATURDAY, 12 November 2011 at the Araneta Coliseum open Parking lot (beside Coffee Bean & Tea Leaf). The media event will start at 4PM where the brightest teen stars from ABS-CBN and GMA come together to bring fun and cheer, as they become part of the big food fair to usher in the Holiday spirit. 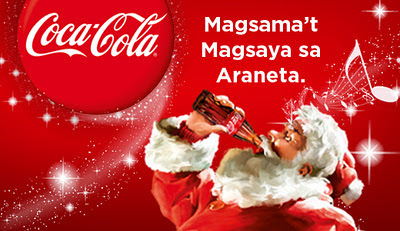 Larger-than-life Coca-Cola set-ups will be a fun way to take photo memories of the event with no less than Santa Claus listening to every boy and girl’s Christmas wishes. The Coca-Cola Music Talent Search Grand Finalists will also show us their singing prowess as they give energizing music to everyone. 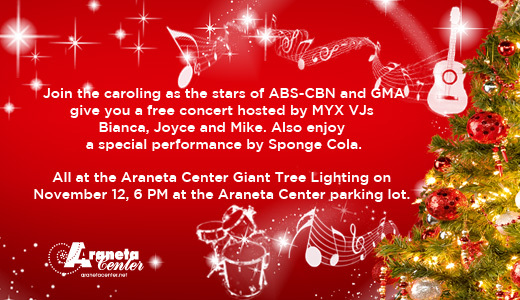 At 6 PM, everyone will gather to witness the ceremonial Tree Lighting followed by a big fireworks display! But the happiness does not end there! All spectators will be able to witness a big musical variety show with song and dance numbers from the Agawin ang Eksena Grand Finalists, ABS-CBN and GMA talents and a special concert by local bands Alpog and SpongeCola. Me and Jen will be dropping by ARANETA CENTER to witness this event. 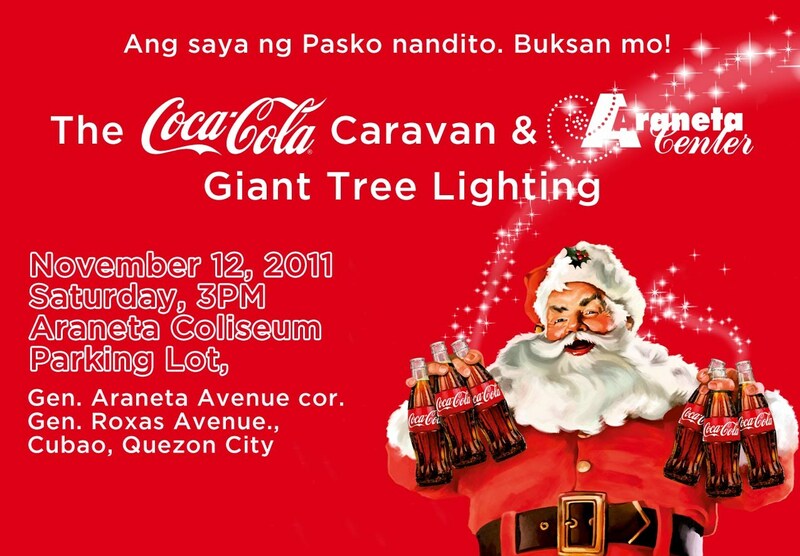 Seeing that huge tree being lighted is indeed a signal that the Christmas season has officially started. Hihi. Hope that you can be with us in this magical moment of Happiness & Togetherness!